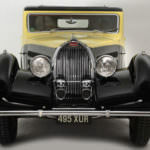 The 1936 Bugatti Type 57 Atalante was the fourth body style created for the Type 57 series. 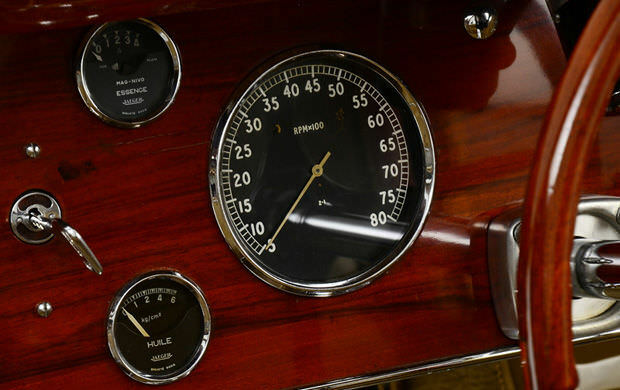 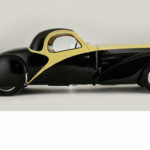 It served as an interpretation of the 1935 Aérolithe Coupe upon which the Type 57 Atlantic was heavily based on. 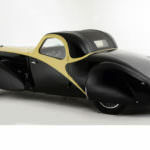 The expensive and time-consuming methods used to create the Atlantic’s unusual body prompted the company to create a revision of sorts that was somewhat more practical for series production. 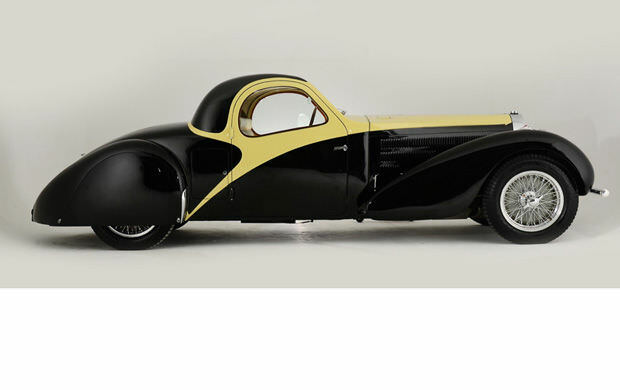 Nevertheless, only 17 of these vehicles were ever made with no two Atalantes the same, making them extraordinarily rare and extremely valuable. 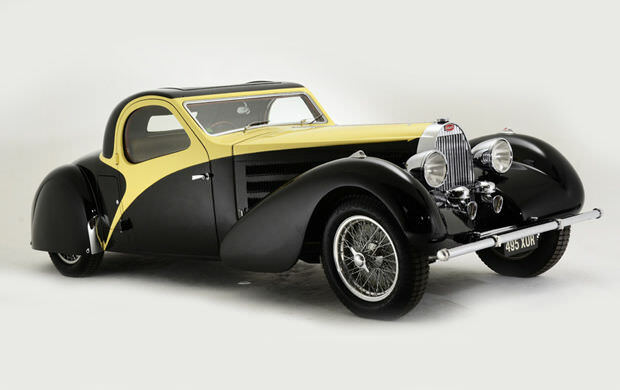 The Type 57 Atalante is easily distinguishable thanks to its unique styling cues, many of them visually separating the Atalante from its fellow Type 57 body styles. 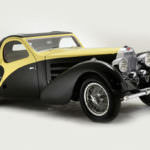 The Atalante makes heavy use of the two-tone paint scheme favored by Jean Bugatti, a feature that serves to further accentuate the prominent French curve on the side of the vehicle. 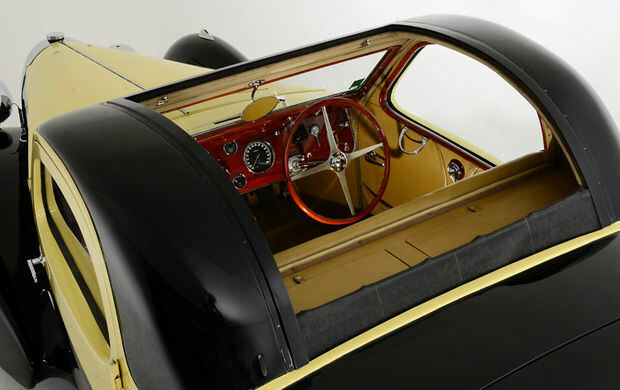 The most distinctive feature of the Type 57 Atalante is its single-piece windscreen, kidney-bean side windows, split rear window and its unique drop head-style roofline. 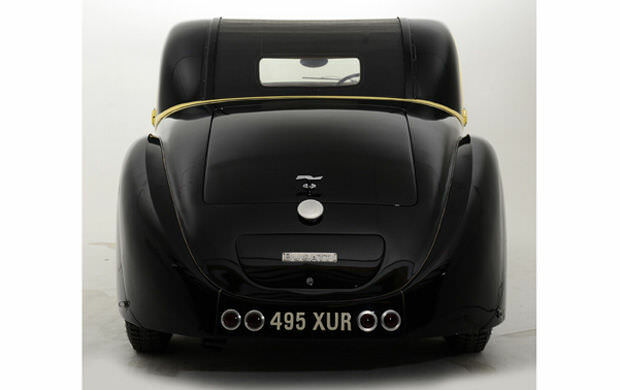 A rare version of the Atalante featured a roll-back roof for open-air motoring. 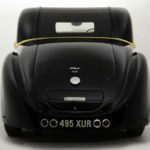 The first batch of Atalante bodies was built on the regular Type 57 chassis. 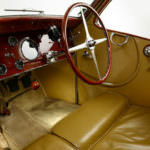 Later Atalantes were built on the Type 57S (Surbaisse) chassis, featuring a lower ride height than other Type 57 variants. 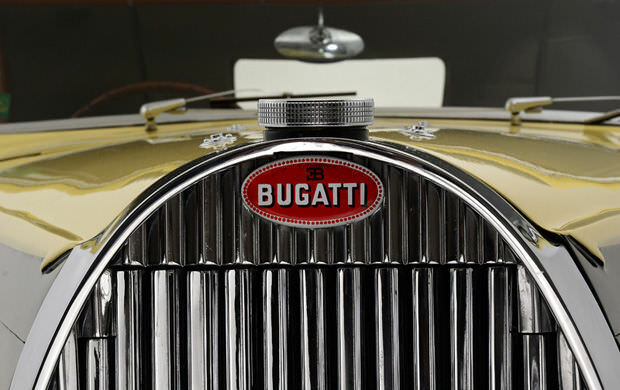 Out of necessity, the rear axle passes through the chassis, supported by reversed quarter-elliptic leaf springs for improved ride compliance. 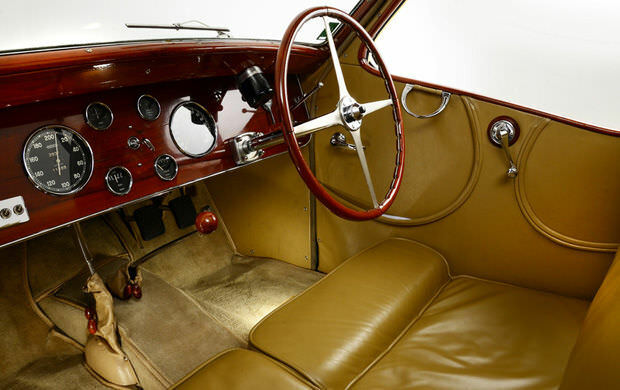 The Type 57S also made use of self-adjusting DeRam hydraulic shocks at the front and rear. 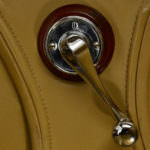 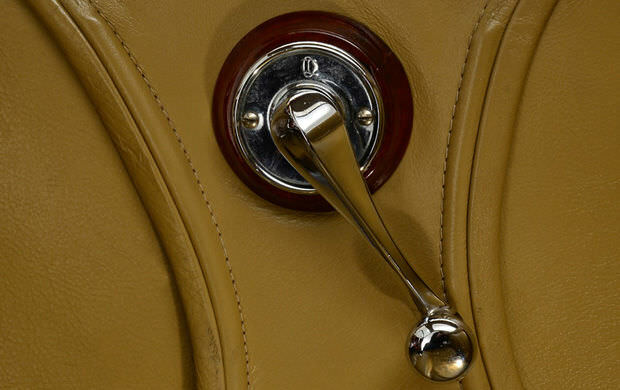 The Type 57S Atalante further distinguishes itself with an ovoid radiator with a deep v-shape at its bottom. 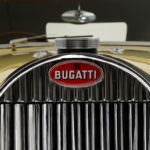 Bugatti made use of naturally aspirated 3.3-liter straight eight-cylinder engine. 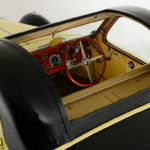 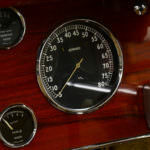 Fitted with dual overhead cams and a Stromberg carburetor, the 3.3-liter engine produced 135 horsepower and 181 pound-feet of torque. 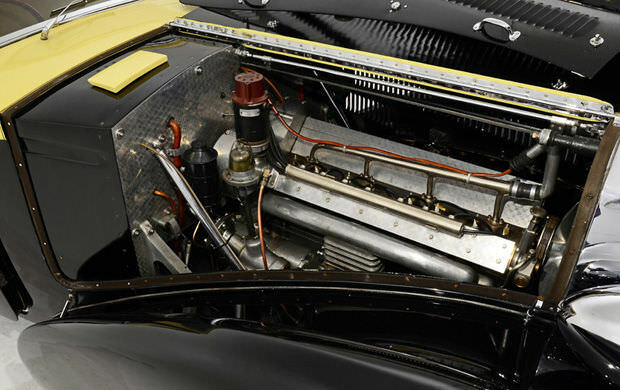 The use of a Roots-type supercharger helped push engine output to a more sporting 170 horsepower. 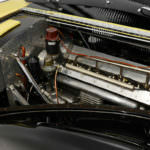 This engine sits on rubber bushings in the Type 57S chassis, whereas the original Type 57 featured the engine as a stressed member of the chassis. 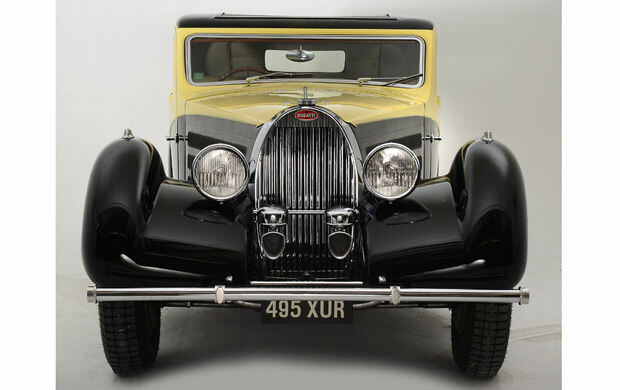 The Type 57 Atalante is by far one of the rarest and most exquisite of the vehicles produced under Bugatti. 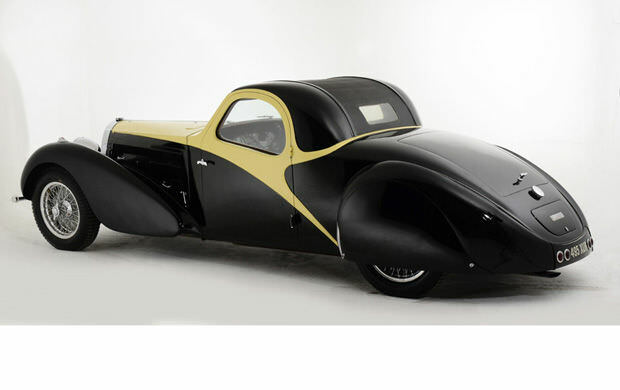 Four examples of this unique vehicle currently sit at the Cité de l’Automobile Museum in Mulhouse, France.